As a civil rights organization, we recognize the importance of all students having equal access to a quality education. Throughout its 86-year history, LULAC has recognized that education is the bedrock of civil rights, and resolving educational disparities is essential to furthering the advancement of the Latino people. The Common Core State Standards are one of the latest initiatives aimed at ensuring that all students have access to a high-quality education that adequately prepares them for higher education opportunities and the workforce. Common Core forms a set of consistent guidelines of what students should know at each grade level in Mathematics and English Language Arts, ensuring that all students are prepared for success after high school. LULAC has been advocating for access to equitable and high-quality education for Latino students, and Common Core is helping achieve just that. Having high and consistent standards for students throughout the country means that more students can receive a quality education and have an equal chance at pursuing higher education opportunities. Thus, the adoption of the Common Core State Standards is a civil rights issue because the standards can be used as a tool for constructing an equitable education for all. Just before the Fall 2014 school term, the Pew Research Center projected that the majority of enrolled students in public schools would be minority students. In that projection, 12.9 million Latino students were enrolled in public schools in the United States. According to this particular piece of research, Latinos make up a sizeable portion of the public school student population, thus; it is absolutely necessary that we provide quality education to all students. A zip code, family income, or one’s race or ethnicity should not determine the quality of a child’s education or their ability to succeed in college and in future careers. For example, in Montgomery County, Maryland; if you live in a zip code with a high poverty rate, you will most likely attend a low performing school with limited resources compared to a school in Potomac, Maryland where the average income is significantly higher. According to Ed Trust, school districts found in high poverty areas receive 10% less per student in state and local funding than districts with low poverty rates. The difference is even larger in school districts where the student populations are majority minority. In the past, the fight for an equal and a quality education has varied from state to state. However, times are changing, and for the first time, Latino parents do not have to worry about different educational standards if they move their child from a school in Illinois to a school in Kentucky. The state standards are now standardized across states, meaning that a high school diploma from Kentucky is equivalent to one from Illinois. We can now guarantee that no matter what state you are from, you are receiving the same quality education as others students across the United States. As a civil rights organization, our priority should not solely be getting Latinos into college, but ensuring that they are adequately prepared to be successful. Across the country, Latino students have been graduating high school unprepared for college. Students who are not prepared for college end up taking remedial courses that cost more money and additional time. Due to this and other factors, only 30% of Latino college students graduate college in four years. By having higher standards, we raise the bar for students, and help them become college-ready by the time they graduate high school. The Common Core State Standards are the new foundation in education, and we can only continue to build upon them. Common Core is not the magical solution to the flaws in our education system, but it is a step forward in the right direction. It is helping lower the likelihood of disparities between states by having the same standards across the board. Although some states will have more work to do than others, the Common Core State Standards provide the level of learning that will help states to get there. There will be challenges, but the Latino community is ready to face them. In fact, the NBC poll sponsored by Pearson found that 50% of parents and over 70% of Latino parents were in favor of Common Core. LULAC is currently working on its “Ready, Set, Go” Initiative aimed at educating Latino parents and students about college and career readiness through Common Core. LULAC plans on doing community sessions in Illinois, Colorado, and New Mexico. These sessions will bring families information on how to prepare for new assessments and how to read score reports. In addition, the session will engage them in pledge campaigns to fully participate in the transformation of their school instruction. By informing Latino parents of these new changes, LULAC is living up to its civil rights history, ensuring that all students are adequately prepared to succeed in the classroom and beyond. Xiomara Santos is a Policy and Legislation Intern at the LULAC National Office in Washington D.C. Xiomara is a fourth year student at Coastal Carolina University majoring in Political Science and will be graduating December 2016. Earlier this week, presidential candidate Ben Carson joined Jeb Bush and Marco Rubio in voicing support for granting statehood to Puerto Rico. Such support is welcome news to the people of Puerto Rico, who presently are experiencing economic hardship and would benefit greatly from statehood status. Whatever the candidates’ motivation, the $72 billion debt crisis is an important issue facing Puerto Rico today. Puerto Rico has been in a recession since 2006, with unemployment at 14 percent and the majority of Puerto Ricans living in poverty. Many have moved to the mainland seeking employment opportunities and access to programs and resources that are not available in the territory. If Puerto Rico obtained statehood status, the territory’s public corporations and municipalities would be allowed to file for bankruptcy. Such a move would enable Puerto Rico to restructure its debt in an organized manner. It would also provide more financial options and benefits that ultimately will help the Puerto Rican people. These benefits include the full benefits of the Affordable Care Act, the full extension of the Earned Income Tax Credit, and full reimbursement parity under Medicare and Medicaid. Since 1917, Puerto Ricans have been recognized as U.S. citizens. In addition, since World War I over 200,000 Puerto Rican men and women have served in the Armed Forces, with nine having received the Congressional Medal of Honor. Puerto Rico has been a territory for 117 years, making the Caribbean island the longest held territory in U.S. history. A considerable portion of the LULAC membership are U.S. citizens living in Puerto Rico who are hard-working loyal Americans. 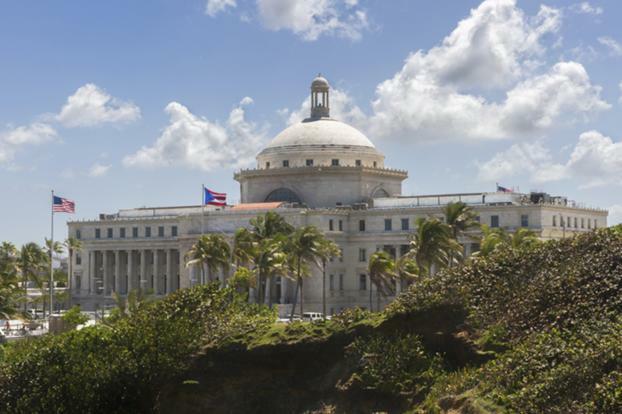 Permitting Puerto Rico statehood status is the best strategy for stabilizing Puerto Rico’s economy. LULAC will continue to keep a focus on the needs of the people of Puerto Rico and work towards a solution to the Puerto Rican debt crisis that benefits the people of Puerto Rico.